Maybe if you play just any old shows. But children’s programming has only gotten better and better through the years. Now, many shows are not only engaging and hold kids’ attention, but they also actually–really and truly–help grow the children’s minds. Mothers! Fathers! Caretakers in general! You are absolutely allowed to have that 30 minutes of time for yourself, and know that your kid is still learning and growing. Here are a few great shows to set for the kids while you are paying bills, cleaning up, or come on, just plain putting your feet up and having a coffee. This great show is interesting not only for very young children, but also for kids all the way up through kindergarten. The stories and characters are complex enough to keep your whole little family intrigued and teaches not only letters, numbers, and the like, but also morals: courage, friendship, and teamwork. Similarly, Octonauts affords entertainment for your very little ones as well as your more advanced learners. This show is awesome in that it also has so much diversity: you play this show for five seconds and you hear five different accents from around the world. What’s a list of kid’s shows without Little Einsteins? This tried-and-true show is very widely known, and for good reason. It really helps small ones learn words and sounds. Not only that, but one big draw to Little Einsteins is its focus on music. This is great to have playing in the background because you will find that you too are absorbing and enjoying beautiful, classical music! The animation in this one is just darling: that softer, more classic style that we caretakers grew up with. For the very little ones, learning sounds and color can be tough: they need access to endless repetition. Which, sure, we as the adults are happy to provide (“Red, the apple is red, say ‘red’!”). But this program takes that to a new level. Letters are personified for better retention and association purposes, and then used in little, super simple stories. These “stories” are hardly that: they are more like pictures in which the sounds are put to use in examples such as, a beachfront with signage about “whales,” “wharves,” and “whole fish” (see a pattern?). Kids can listen to and repeat back sounds and colors for long minutes on end with this immersive program. Available here and on Amazon. 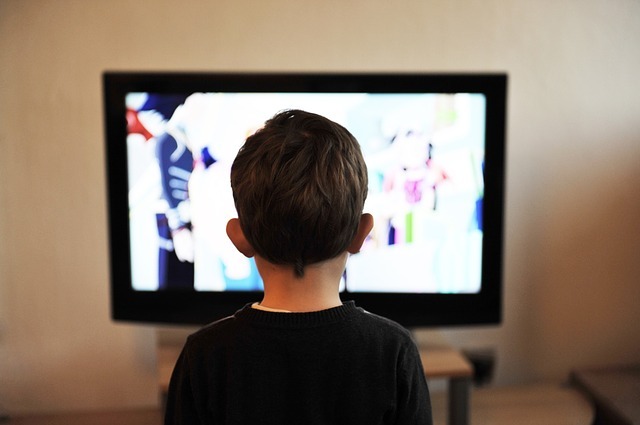 Which educational shows do your kids love watching?